The Beauty Foodie Club Launches to Celebrate Women in L.A. Staffing Agency, Recruiting for Good is sponsoring The Beauty Foodie Club to honor and celebrate women. Members enjoy funded fun life experiences and parties. SANTA MONICA, CALIFORNIA, UNITED STATES, October 24, 2018 /EINPresswire.com/ -- Santa Monica based staffing agency, Recruiting for Good, is sponsoring The Beauty Foodie Club, a social club for women who live in Santa Monica, and surrounding communities. Club members participate and make referrals to enable recruiting placements and earn rewarded fun life experiences. According to Recruiting for Good, Founder Carlos Cymerman, "How do we celebrate women? By making life fun and rewarding. The Beauty Foodie Club, is looking for members who make a difference in the community, and are role models to family, and friends. Is that you? 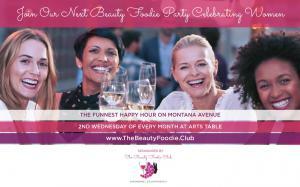 Then, come to our next fun Beauty Foodie Party to Join The Club." 2. Fun rewards for kids (summer camp is funded, so moms get a vacation too). 3. 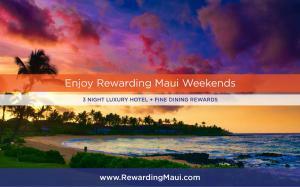 Women Travel (Luxury Maui Weekends, or Celebrate Your B-Day in Paris). Carlos Cymerman adds, "We are building a fun social club for awesome women who kickass, looking for a community to love, then, come to our next Beauty Foodie Party. We are the only social club helping members fund fun fulfilling life experiences."